In recent months, there has been a massive focus on the Iran nuclear negotiations in relation the wellbeing of Israel and the United States, while relatively little focus has been directed towards what is happening inside of Islam itself. This has led many concerned individuals to make false-assumptions that could very easily spark unnecessary and extremely costly conflicts. Islam is not monolithic and has a long, bloody, history of internal massacres based upon religious or ethnic differences (similar to the history between English Protestants and Irish Catholics). Different sects and ethnic sub-groups within Islam have spent centuries engaged in conflict, the largest of which today are between the Sunni/Shia and Arab/Persian/Kurd subgroups. Sunnis and Shiites consider one another apostates because they cannot agree whether or not Muhammad had an apostolic successor (Sunnis are against the idea while Shiites are for it). Similarly, ethnic hatreds stemming from resource conflicts, familial grudges, and political disputes have fractured the Arabs, Persians and Kurds (along with numerous small or regional groups), creating a complex web of biases, conflicts and reluctant partnerships within almost every Muslim Middle Eastern nation. The western tendency to lump all Muslims together when talking about the Middle East has, in my opinion, led us to miss a glaringly obvious reality in the Iranian nuclear situation: Iran and the Arab Gulf states are currently engaged in a regional proxy-war that parallels the American/Russian Cold War in many respects. Both sides are jockeying for power in the surrounding nations’ established governments (ex. Iraq) while they are using sponsored terrorism and militia-based fighting to conduct proxy-battles in destabilized areas (ex. Yemen, Syria, etc.). When the USA and Israel look at Iran’s nuclear program, we worry that Iran will build a bomb and try to use it against one of our cities. While this is a legitimate concern, it relies on Iran being completely irrational and willing to sacrifice itself in order to strike a blow against the US or Israel—after all, if Iran detonates a nuke in Israel or the USA, the likely result would be a massive nuclear retaliation that would obliterate every Iranian city within hours. Given the threat of retaliation, there is no rational reason for Iran to pursue a nuke in order to threaten or harm either the USA or Israel. Fortunately, even Israeli Mossad has concluded that Iran isn’t an irrational actor, thus there is no reason to assume that they would be willing to pursue this course of action. If Iran doesn’t want to attack the US or Israel, why is it pursuing a nuclear program? I would argue that the answer to this question is fairly simple: Iran wants to use the threat of it becoming a nuclear power as a lever to increase their regional power relative to their rivals in the Gulf States. Iran is ethnically Persian and religiously Shiite, while most of the other Muslim countries in the region are majority Arab and Sunni. 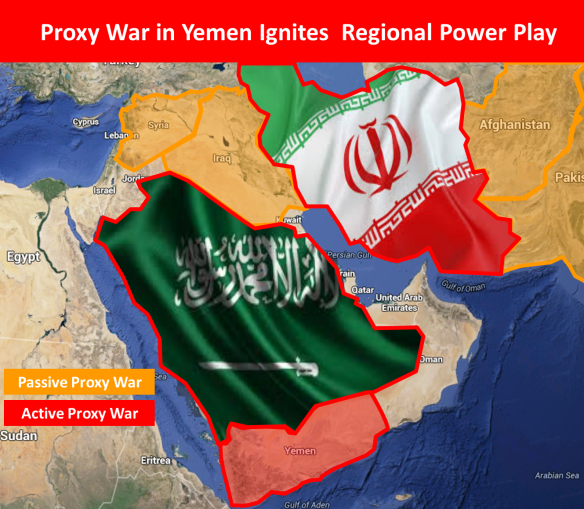 When compared with the Arab Sunni states, Iran has a much smaller population, less economic power, and is in a much more tenuous position with the west (the USA has deep connections with the Saudis). Given these disadvantages, they need some way of exerting their power, and nuclear weapons provide just such an opportunity. Unfortunately, this theory of Iranian nuclear strategy is actually just as worrying from an international perspective as if they were truly irrational. Experts who promote this theory point out the very real danger that the Iranian nuclear gambit could spark a regional nuclear arms race. 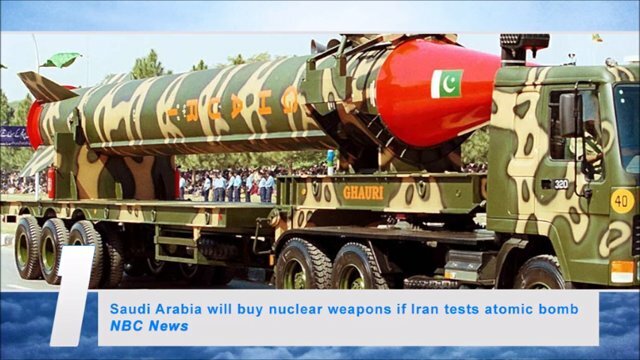 If Iran appear close to obtaining a nuke, the surrounding Sunni nations will try to establish their own nuclear program, if not simply buy nuclear weapons from rogue Pakistani or Russian officials. If a Middle Eastern arms race is sparked the results would be absolutely disastrous. Not only would the risk of an irrational actor (ex. ISIS) obtaining a nuke skyrocket, but the situation would be completely impossible to contain via rational deterrence (I.E. Mutually Assured Destruction). Rational deterrence requires that all actors be able to detect the source of an incoming strike and retaliate accordingly, thus ensuring that no state can strike with impunity. Middle Eastern nations currently lack this ability to accurately assess incoming threats, thus would be likely to react to false-threats (ex. a rumor that an attack is imminent setting off a preemptive strike) or even retaliate against the wrong party in retaliation for an attack (ex. if Iran were to retaliate against Saudi Arabia for a strike sponsored by the UAE). In short, such an arms race would create a type of nuclear Russian roulette within an already unstable region filled with religious extremists. 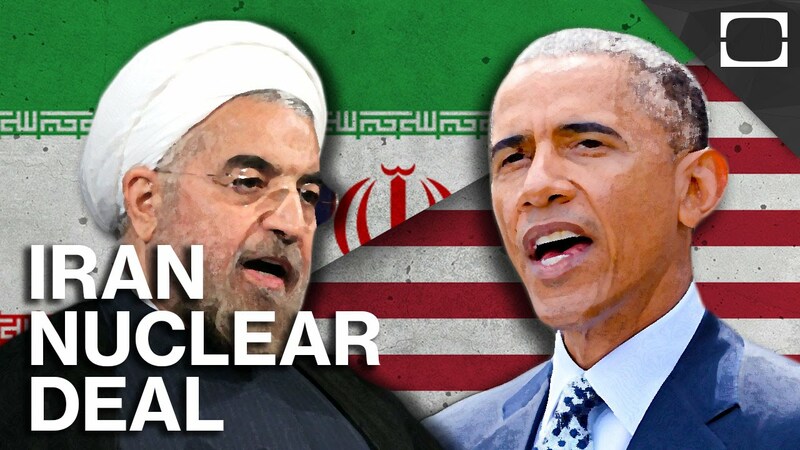 Even if the US and our allies in Israel are not directly threatened by Iran’s nuclear gambit, it is imperative that the Obama administration be successful in its negotiations with Iran. We cannot allow there to be an uncontrolled nuclear arms race in the Middle East, and diplomacy is the only viable option. While some neocons in the USA and Israel push for war to solve this problem, any war in Iran would have significant blowback and could result in further destabilization of the region (ex. ISIS moving east as Iran’s ability to hold them back is degraded). Partisan political games must be shelved in order to let American diplomats do their work and diffuse this crisis before it becomes worse for everybody involved.